Single-cable USB monitors have been around for a while, so it was only a matter of time before someone came up with a USB Type-C update. 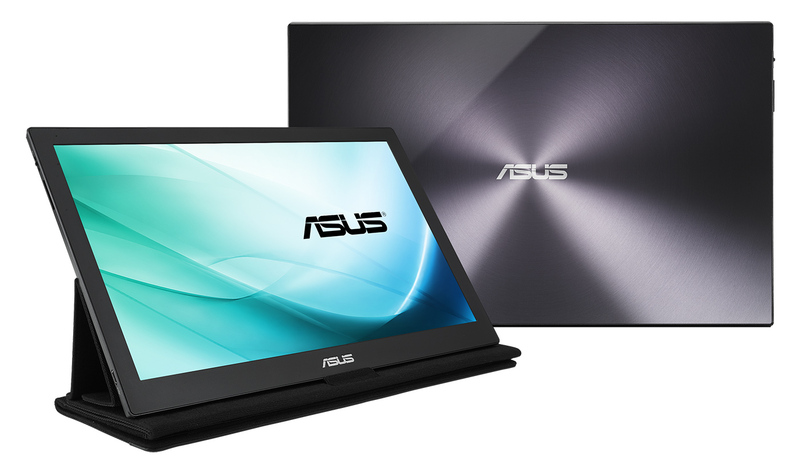 As it turns out, ASUS is the first to announce such a product. Following theMB168B+ from about two years ago, this new MB169C+ portable display features the same 15.6-inch screen size and 1080p resolution, but the old TN panel has finally been upgraded to IPS for much improved colors and viewing angles. ASUS' iconic spin metal design is here to stay, and likewise with the mere 800-gram weight plus 8.5mm thickness -- just a tad more than its predecessor's 8mm. ASUS says that this USB Type-C monitor should work with any machine that feature the same connector, regardless of the platform. These include the company's very own Transformer Book T100HA, the latest MacBook, ChromeBook Pixel or any Android device that carry the same connector. Simply plug the monitor's sole cable into the host device and you're good to go, no need to fiddle with another cord for power. There's no word on availability nor pricing either, but for the latter, we imagine it won't be far off from the older model's retail price of about $290.